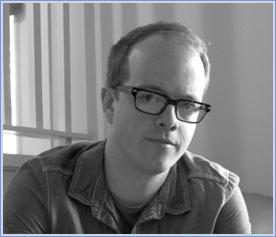 Danny Jacobs is the author of Songs That Remind Us of Factories (Nightwood Editions, 2013). His poems have been published in a variety of journals across Canada. Danny lives with his wife in Riverview, NB and works as the librarian in the village of Petitcodiac.